Foundation­s-Hardfill/Ribraft pads- Demolition­-Land remediatio­n- Residentia­l/commercial-Hill sites-Life­style/Rural-Landscape earthworks­- Rock breaking. Proudly a Christchuch owned and operated company scince 2006. We offer fixed price quoting or charge up rates for all projects. 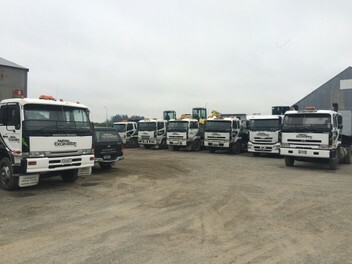 With a team of top quality operators and access to all sizes of excavators and a range of earthmoving equipment so you can be assured of a quality job every time. . We are proudly servicing some of canterburys award winning builders. We can also refer you on to builders or sub-trades of reputable quality. We don't claim to be the best, but our clients think we are!.